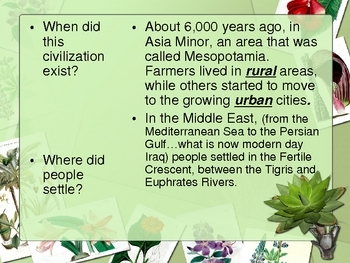 This is a 20 slide powerpoint presentation that covers Mesopotamia. 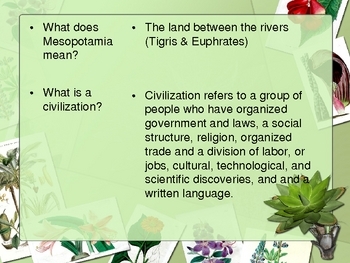 It is derived from the book, Ancient Civilizations. 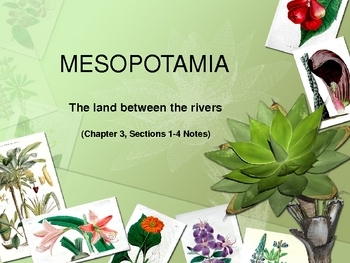 It pinpoints the important ideas for students to take notes on in Chapter 3, Sections 1-4.